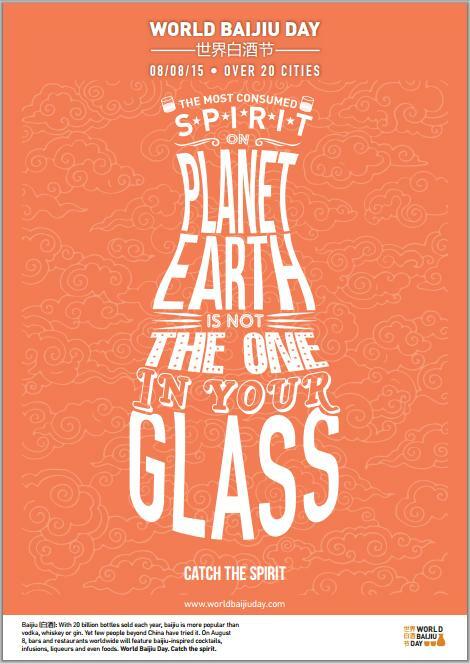 World Baijiu Day is finally here! Whether you get your baijiu in beers, pizzas, ice cream or cocktails, as an infusion or liqueur, paired with food, in a tasting flight, or even deep-fried today, I hope you enjoy it. I’ll be at Pop-Up in Beijing from 5-8 PM for a tasting of baijius from New Zealand, The United States and China, plus the Gung Ho ‘drunken shrimp’ baijiu pizza delivery at 7 PM, and will also scoot next door to Jing-A to try their ‘Qu Brew‘ craft beer. I will otherwise be floating–possibly literally, if the recent rainy weather continues–about the city. If you are around, give me a shout via weixin (my ID is beijingboyce). 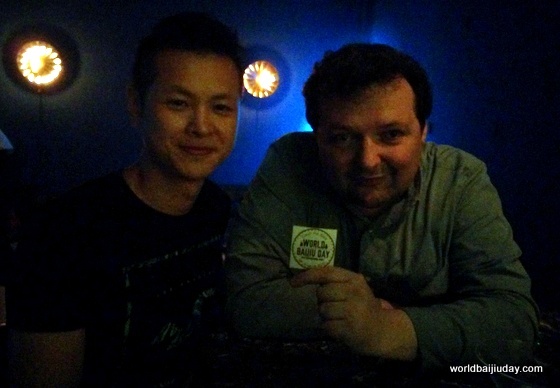 We casually marked WBD last night at Q Bar with Li Zongwen, from baijiu producer Harmony in Anhui province, who traveled to Beijing for the event, and with Dustin Merrett of Windy City Ballroom in Beijing, who brought us late-night snacks in the form of baijiu gummy bears. Expecting lots more fun today and tonight and will post plenty of pics next week from the parties around the world. Thank you to everyone who made this event possible! I will raise my glass to all you at midnight tonight. 12:01 on August 8 in Beijing.